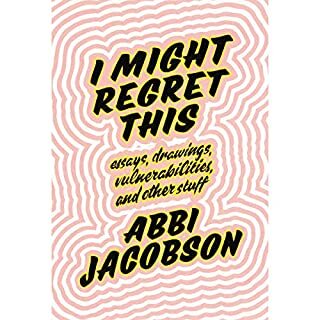 When Abbi Jacobson announced to friends and acquaintances that she planned to drive across the country alone, she was met with lots of questions and opinions: Why wasn't she going with friends? Wouldn't it be incredibly lonely? The North route is better! Was it safe for a woman? The Southern route is the way to go! You should bring mace! And a common one... why? But Abbi had always found comfort in solitude and needed space to step back and hit the reset button. As she spent time in each city on her way to Los Angeles, she mulled over the big questions: What do I really want? 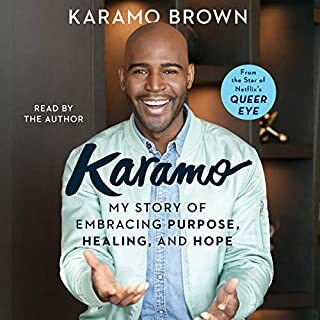 A collection of hilarious personal essays and political commentary from the charming, feminist, and wickedly funny creator and host of the Throwing Shade podcast and TV Land show. 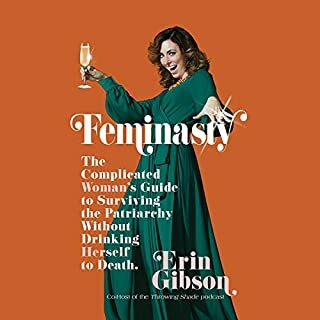 Erin Gibson has a plan for women to make our future the one Beyonce already thinks we have. 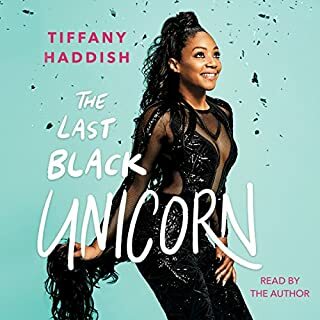 In Feminasty - titled after her nickname on Throwing Shade - she has written a collection of make-you-laugh-until-you-cry essays that expose the hidden rules that make life as a woman harder and deconstructs them in a way that's bold and funny and provocative. Being a black woman in America means contending with old prejudices and fresh absurdities every day. Comedian Phoebe Robinson has experienced her fair share over the years: She's been unceremoniously relegated to the role of "the black friend", as if she is somehow the authority on all things racial; she's been questioned about her love of U2 and Billy Joel ("isn't that...white people music? "); she's been called "uppity" for having an opinion in the workplace; and yes, people do ask her whether they can touch her hair all. The. Time. 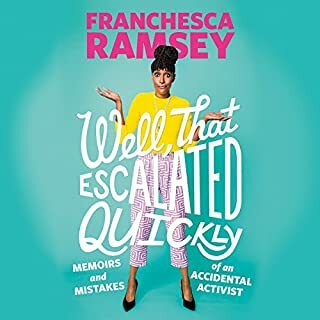 Franchesca Ramsey didn't set out to be an activist. Or a comedian. Or a commentator on identity, race, and culture, really. But then her YouTube video "What White Girls Say...to Black Girls" went viral. Faced with an avalanche of media requests, fan letters, and hate mail, she had two choices: Jump in and make her voice heard or step back and let others frame the conversation. 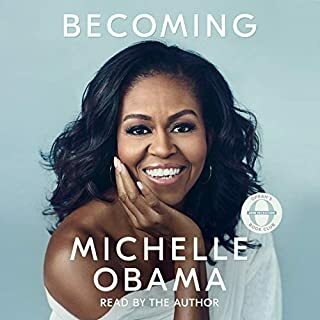 After a crash course in social justice and more than a few foot-in-mouth moments, she realized she had a talent and passion for breaking down injustice in America in ways that could make people listen and engage. Loved it and didn't want it to end! 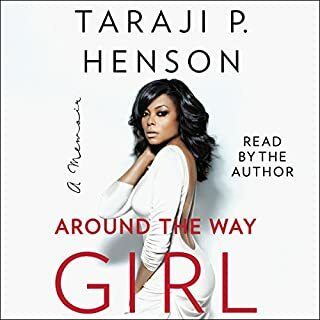 With a sensibility that recalls her beloved screen characters, including Yvette, Queenie, Shug, and the iconic Cookie from Empire, yet is all Taraji, the screen actress writes of her families - the one she was born into and the one she created. 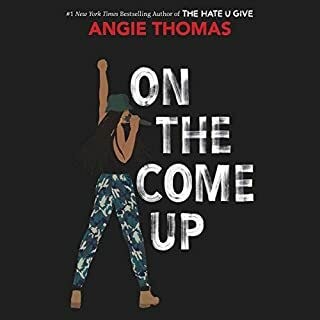 She shares stories of her father, a Vietnam vet who was bowed but never broken by life's challenges, and of her mother, who survived violence both in the home and on DC's volatile streets. Here, too, she opens up about her experiences as a single mother. 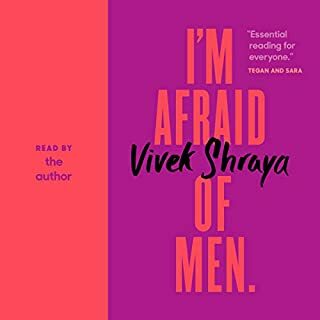 Vivek Shraya has reason to be afraid. Throughout her life she's endured acts of cruelty and aggression for being too feminine as a boy and not feminine enough as a girl. In order to survive childhood, she had to learn to convincingly perform masculinity. As an adult, she makes daily compromises to steel herself against everything from verbal attacks to heartbreak. Now, with raw honesty, Shraya delivers an important record of the cumulative damage caused by misogyny, homophobia, and transphobia, releasing trauma from a body that has always refused to assimilate. An intimate, moving book written with the immediacy and directness of one who still struggles with the effects of mental and chronic illness, The Collected Schizophrenias cuts right to the core. 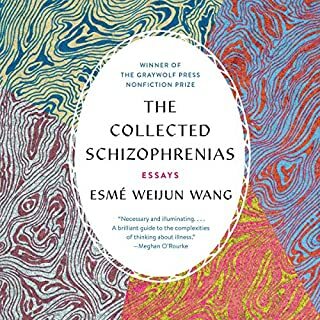 Schizophrenia is not a single unifying diagnosis, and Esmé Weijun Wang writes not just to her fellow members of the “collected schizophrenias” but to those who wish to understand it as well. 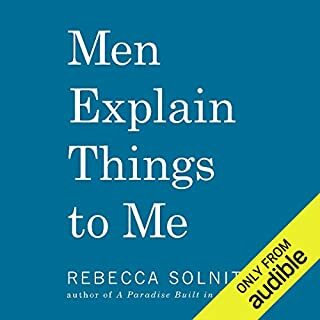 In Men Explain Things to Me, Rebecca Solnit takes on the conversations between men who wrongly assume they know things and wrongly assume women don't. The ultimate problem, she shows in her comic, scathing essay, is female self-doubt and the silencing of women. Rebecca Solnit is the author of fourteen books about civil society, popular power, uprisings, art, environment, place, pleasure, politics, hope, and memory, most recently The Faraway Nearby, a book on empathy and storytelling. 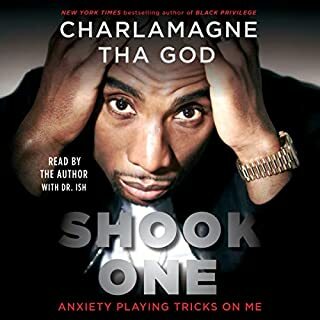 Being “shook” is more than a rap lyric for Charlamagne; it’s his mission to overcome. While it may seem like he is ahead of the game and should have nothing to worry about, he is still plagued by anxieties - fear of being weak; fear of being a bad dad; fear of being a worse husband; and, ultimately, fear of failure. Shook One chronicles his journey to beat back those fears and empowers you to no longer be held back from your potential. 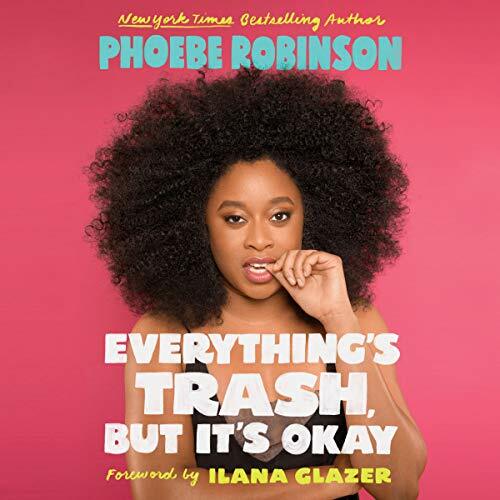 New York Times best-selling author and star of 2 Dope Queens Phoebe Robinson is back with a new, hilarious, and timely essay collection on gender, race, dating, and the dumpster fire that is our world. Written in her trademark unfiltered and witty style, Robinson's latest collection is a call to arms. 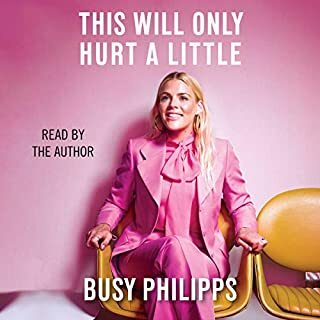 Outfitted with on-point pop culture references, these essays tackle a wide range of topics: giving feminism a tough-love talk on intersectionality, telling society's beauty standards to kick rocks, and calling foul on our culture's obsession with work. 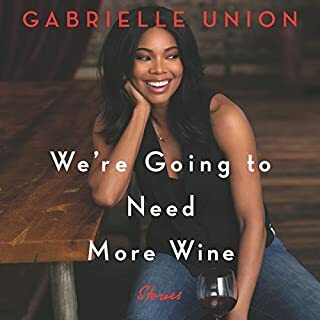 Robinson also gets personal, exploring money problems she's hidden from her parents, how dating is mainly a warmed-over bowl of hot mess, and definitely most important, meeting Bono not once, but twice. She's struggled with being a woman with a political mind and a woman with an ever-changing jeans size. She knows about trash because she sees it every day - and because she's seen roughly one hundred thousand hours of reality TV and zero hours of Schindler's List. With the intimate voice of a new best friend, Everything's Trash, But It's Okay is a candid perspective for a generation that has had the rug pulled out from under it too many times to count. 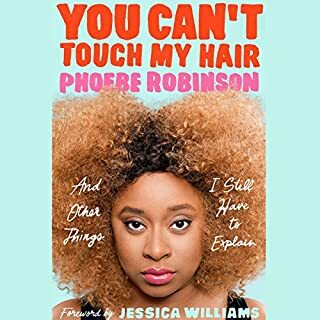 Phoebe Robinson's perspective, personal experiences and hilarious voice grabbed my attention right away. 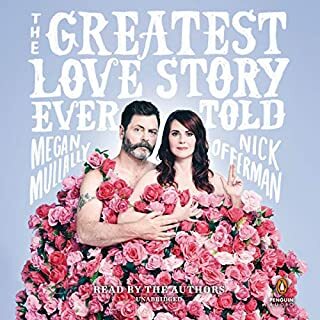 I laughed out loud a lot whilst walking around and listening to this book. In such tumultuous times, that is a precious gift. Highly recommend!! I love supporting black writers, but I couldn't make it past chapter 3. The narrating and ultimately the writing just wasn't too irritating and felt jumpy. It was like having a bad one-sided conversation with someone you met at a bar. Not a fan. I was really excited to read the book and there are some really funny parts of the book however it's hard to understand. She's narrating at a fast speed and her words are getting lost between her mouth and my ears somewhere. I also have to rewind sometimes because of the pronunciations of certain words. Overall if you can get past the narrating, it'll make you laugh! Funny telling of the life lessens she’s experienced. Phoebe invoked laughter as she performed her story. Phoebe Robinson is my new celebrity crush! I think I have a new celebrity crush! Seriously, after listening to this story I felt like I had gotten to know the author personally. She takes us through some harsh realities but then lightens the mood with her all-so-genuine, contagious AF laughter. It made the Addendum that much better because I felt like I was listening to a close friend update me on her life. While I'll admit it did take me a couple of chapters to get used to the hashtags and acronyms, Robinson's incredible voice and valid points made me want to keep coming back to this story. 10/10! Absolutely Loved This Book! I love this book so much! Thank you, Phoebe, for giving us this! I adore both the topics covered in the essays and the way they’re read by Phoebe. So relatable! So smart! So fun! I especially appreciated how Phoebe talks about body positivity from a non-plus-size perspective in a way that is really honest and real with lots of nuance. I really identified with her chapters on debt and being a workaholic. Phoebe Robinson is witty, funny, and captivating. 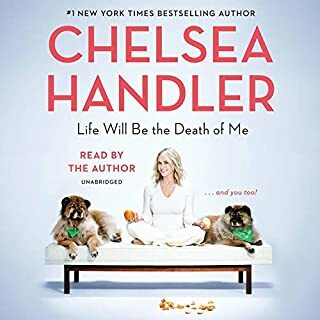 Listening to her book was like listening to a comedy special. 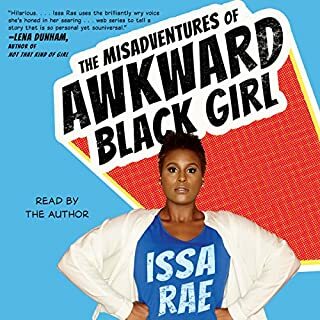 I highly recommend reading/listening to anything she creates.